Marion is upfront with her audience. “I’m about as small as you can get in the comedy field. No one’s ever heard of me. On the other hand, Jerry Seinfeld is about as BIG as you can get in comedy. Everybody’s heard of Jerry. In fact, Jerry is so famous that when he had a child it was all over the news. But I’m not jealous because I KNOW that if I have a child it’ll be all over the news too!" 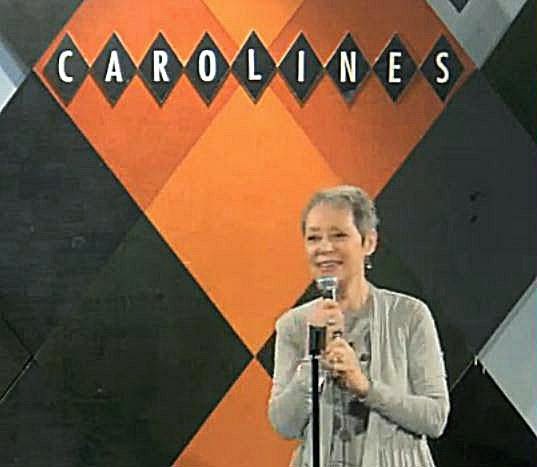 Marion performs her stand-up routines at comedy clubs and at senior communities in the metro New York-New Jersey area. Here's a recent performance at Caroline's in Manhattan.